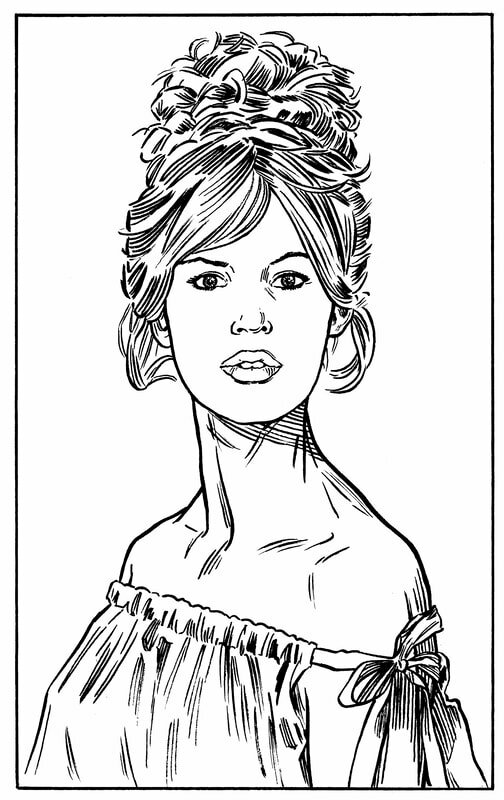 The first stage of this project was to draw this famous French actress over and over again from an endless supply of photographic resources. Above are some examples of this work. This was the first stage of observation and experimentation with line work. 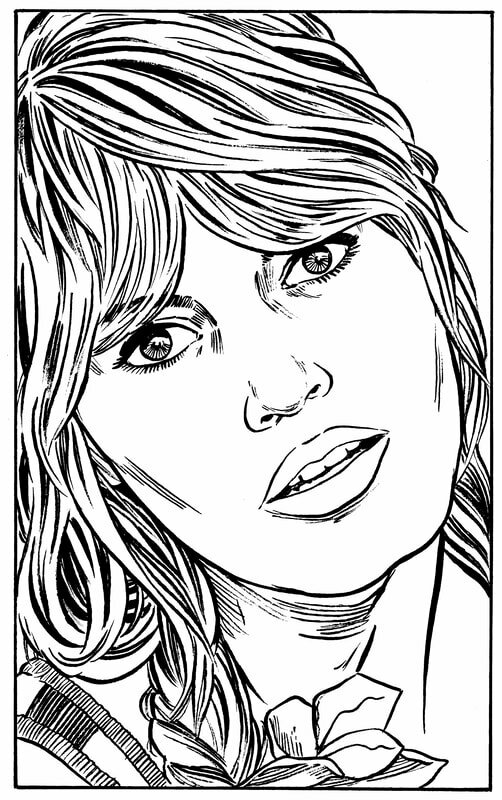 These days I am also working on my graphic novel about the extraordinary Brigitte Bardot. A dancer, a model, a movie actress, a singer, often a humanitarian and ultimately a formidable animal rights activist, Brigitte Bardot has been hugely influential not only in her native country France but throughout the western world since the second half of the twentieth century. It is a humbling and artistically testing task I have set myself and it's still early days but I'd like to share some of the processes with you along the way.